Tea (Camellia sinensis, Theaceace), a popular beverage consumed world-wide, has been studied for its preventive effects against cancer as well as cardiovascular, neurodegenerative, and other diseases. Most of the proposed beneficial effects have been attributed to the polyphenolic compounds in tea, but the nature of these activities and the molecular mechanisms of their actions remain unclear. Tea polyphenols are known to be strong antioxidants. Prevention of oxidative stress, modulation of carcinogen metabolism, and prevention of DNA damage have been suggested as possible cancer preventive mechanisms for tea and tea polyphenols. 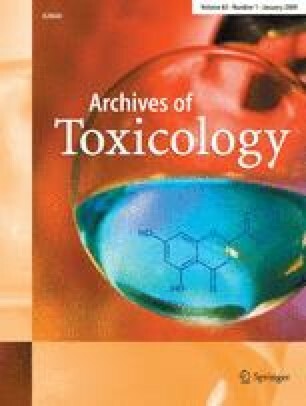 In this chapter, we discuss these topics in the light of biotransformation and bioavailability of tea polyphenols. We also review the preventive effects of tea polyphenols in animal models of carcinogenesis and some of the possible post-initiation mechanisms of action. Finally, we discuss the effects of tea consumption on cancer risk in humans. It is our aim to raise some of the unanswered questions regarding cancer prevention by tea and to stimulate further research in this area. Grant support: NIH grants CA120915, CA122474, and CA133021.